Narooma was named by televisions longest travelling weather presenter, channels 9’s Steve Jacobs and Natalia Cooper who has taken over from Steve Jacobs as one of the best places to visit in Australia. Of course Narooma was named with its clear blue water, world class fishing, beautiful Wagonga Inlet, oysters, bodalla cheese, Montague Island, Snorkelling the seals and whale watching. 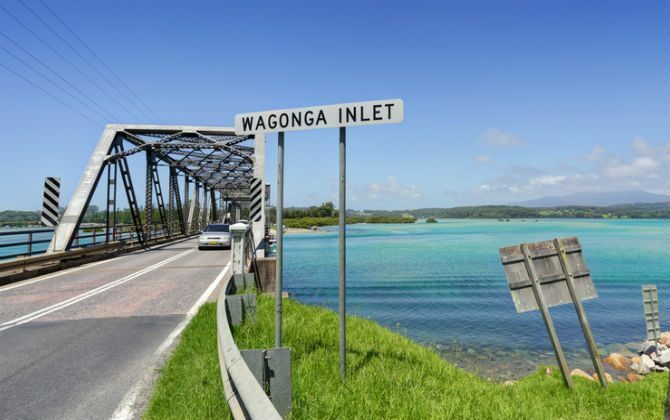 Narooma Bridge crossing at Wagonga Inlet. Wake up surround by Ocean. 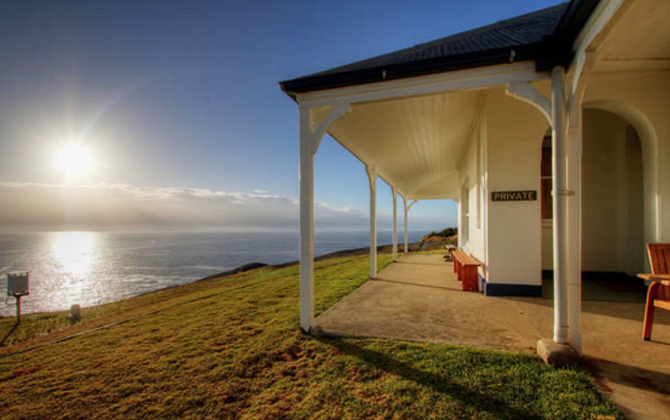 Montague Island has two cottages available for overnight stays, and have a special running at the moment stay for 3 nights and pay for 2 during whale watching season, 1 May to 30 November 2017. Valid only for booking made between 1 May to 30 November 2017. For more information or to book phone National Parks on 13000 72757. 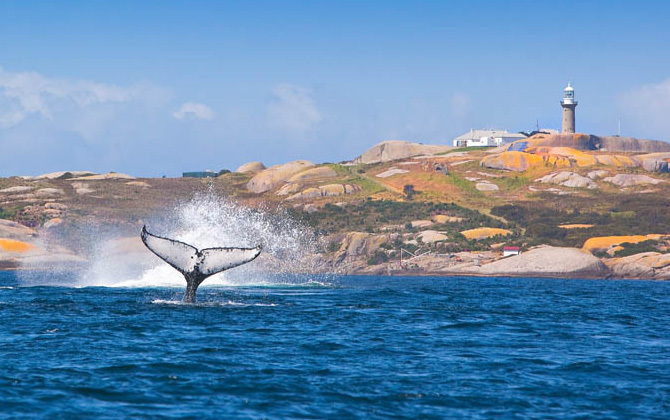 Whilst staying on Montague Island, we can help you with a whale watching tour, fishing charter or a snorkel with the playful seals. Lots of whales have been spotted over the last couple of days off the coast of Narooma near Montague Island. This time of years the whales are heading North for the winter and will return around the start of September. If you would like to go and get up close with the whales, Narooma Tours offers a whale watching tour. Whale jumping near Montague Island off the Narooma coastline. Our whale watching season is from September to November and free whale watching is including in all our Montague Island Tours, but if you are wanting to head out on a Montague Island Tours shortly you may just see these amazing creatures on your journey out.